Russel Armstrong founded “VéRUS Pet Foods” in 1993, and still owns and operates the company close to twenty-five years later. Armstrong originally worked in the nuclear power industry, but changed career paths when he discovered that the pet food industry was severely lacking in healthy nutritious food. Armstrong named his company VéRUS, because its Latin translation means “true, real, proper, suitable, right,” and compliments the ethical foundation on which, Armstrong built his company. VéRUS Pet Foods headquarters is based in Abingdon, Maryland, and their manufacturing facilities are located in the United States and New Zealand. VéRUS sources their ingredients, including the vitamins and minerals, from the United States, Canada, Australia, New Zealand, and Europe. Their dry food is manufactured in upstate New York, and their canned formulas are made in South Dakota (blue labels) and New Zealand (green and cat faced labels). None of the ingredients in their products are sourced from China, including their vitamins and minerals. If there are no other options than to source some vitamins and minerals from China, VéRUS will use pharmaceutical grade sources instead. These are the same quality of vitamins and minerals that are sold at health food stores. All of their facilities are inspected and certified by the European Union (EU). This certification is developed by the U.S. Department of Agriculture’s “Animal and Plant Health Inspection Service” (APHIS). VéRUS has eight dry food recipes and eleven wet food recipes. Four of the wet food recipes are manufactured in New Zealand, and are grain and GMO free. All their formulas are holistic and do not contain any meat byproducts, fillers, or synthetic chemical preservatives such as BHT, BHA, or ethoxyquin. Also, the formulas do not contain any hormones or, genetically engineered ingredients (GMOs). All their chicken and lamb are raised for human consumption, without the use of growth hormones and are free of antibiotics. The feed the chickens and lambs consume do not contain any GMO ingredients. Their menhaden fish are wild caught in United States cold waters off the North East Coast and in the Gulf of Mexico. The fish are processed on the ship before the fish leaves the ship, using Vitamin C and Vitamin E as antioxidants. Their chicken are from cage free barns in West Virginia. Their lamb meal is from grass-fed lamb in New Zealand. Their potatoes are grown without the use of GMOs and are sourced in Pennsylvania. All their whole grains are also GMO free. All of their cans are BPA free. They use an epoxy lining, which is the most safe and environmentally friendly can lining to date. Vérus also offers supplements to compliment their formulas. The primary ingredients are chicken, chicken meal, lentils, chickpeas, split green peas, barley, tapioca, chicken fat (preserved with mixed tocopherols), yams, ground whole flaxseed, natural flavours, herring meal, menhaden fish oil (preserved with mixed tocopherols), eggs, alfalfa meal, chicory extract, dried cranberry, tomato pomace, dried carrots, kelp, dried pumpkin. Formulated for dogs of all life stages. The primary ingredients are salmon, menhaden fish meal, lentils, chickpeas, green peas, barley, chicken fat (preserved with mixed tocopherols), tapioca, herring, herring meal, yams, natural flavours, menhaden fish oil (preserved with mixed tocopherols), flaxseed, chicory extract, dried cranberry, tomato pomace, dried carrots, kelp, dried pumpkin. Formulated for active dogs up to twenty months old and sixty pounds, or more at maturity. The primary ingredients are chicken, chicken meal, lentils, chickpeas, split green peas, barley, tapioca, chicken fat (preserved with mixed tocopherols), yams, ground whole flaxseed, natural flavours, herring meal, menhaden fish oil (preserved with mixed tocopherols), eggs, alfalfa meal, dehydrated chicken cartilage, chicory extract, glucosamine hydrochloride, dried cranberry, tomato pomace, dried carrots, kelp, dried pumpkin. The primary ingredients are chicken meal, ground oats, ground brown rice, rice bran, chicken fat (preserved with mixed tocopherols), beet pulp, sun cured alfalfa, flaxseed, tomato pomace, chicory extract, kelp, natural flavours, yucca schidigera extract. Formulated especially for dogs with allergies, immune system disorders, arthritis, inflammatory diseases, dry and dull coat, heart problems and cancers. The primary ingredients are menhaden fish meal, potato, ground barley, ground oats, menhaden fish oil (preserved with mixed tocopherols), flaxseed oil, beet pulp, flaxseed, chicory extract, kelp. The primary ingredients are lamb meal, ground oats, ground brown rice, rice bran, flaxseed, ground grain sorghum, chicken fat (preserved with mixed tocopherols), chicory extract, sun cured alfalfa, kelp, natural flavours, yucca schidigera extract. Formulated for small and medium breed puppies whose mature adult weight is fifty to sixty pounds, or less. The primary ingredients are chicken meal, ground oats, ground brown rice, chicken fat (preserved with mixed tocopherols), rice bran, sun cured alfalfa, beet pulp, flaxseed, fish oil, chicory extract, kelp, natural flavours, Yucca schidigera extract. The primary ingredients are ground brown rice, ground grain sorghum, lamb meal, ground oats, rice bran, chicken fat (preserved with natural mixed tocopherols), flaxseed, chicory extract, sun cured alfalfa, kelp, natural flavours, yucca schidigera extract. The primary ingredients are lamb, lamb broth, lamb liver, oats, brown rice, peas, carrots, dried kelp, flaxseed flour, pearled barley. The primary ingredients are chicken, chicken broth, chicken liver, brown rice, pearled barley, dried kelp. The primary ingredients are beef, beef broth, beef liver, pearled barley, brown rice, dried kelp. The primary ingredients are duck broth, duck liver, oats, potatoes, canola oil, flaxseed flour, fish oil, alfalfa sprouts, dried kelp. The primary ingredients are turkey, turkey broth, turkey liver, brown rice, oats, peas, carrots, flaxseed flour, dried kelp, pearled barley. The primary ingredients are beef liver, spring water, oats, brown rice, canola oil, peas, carrots, apples, dried whole egg, flaxseed flour, dried kelp. The primary ingredients are lamb broth, lamb, eel, peas, pumpkin, green lipped mussel, carrots, potato, flaxseed meal, tomato paste, carrageenan, sunflower oil, flaxseed oil. The primary ingredients are beef, beef broth, ocean fish, kiwifruit, peas, pumpkin, green lipped mussel, carrots, potato, flaxseed meal, tomato paste, carrageenan, sunflower oil, flaxseed oil. The primary ingredients are lamb broth, lamb, tripe, ocean fish, peas, pumpkin, apples, green lipped mussel, sweet potato, carrots, flaxseed meal, tomato paste, carrageenan, sunflower oil, flaxseed oil. The primary ingredients are chicken, chicken broth, salmon, peas, green lipped mussel, carrots, flaxseed meal, blueberry, tomato paste, carrageenan, sunflower oil, flaxseed oil. As of 2016, there have never been any recalls registered in the U.S. Food & Drug Administration (FDA ) database. 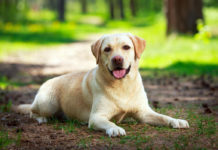 VéRUS offers a variety of choices that meet the needs of the majority of canines. Unfortunately, although VéRUS does use whole grains in their dry formulas, they do not offer any that are grain free. Their New Zealand wet formulas appear to be the most appealing and nutritious based on their ingredients, and the quality of care involved in looking after the farm animals. New Zealand is known for having some of the strictest laws concerning raising animals for food. The country does not permit any GMOs, hormones, or antibiotics. There are no grains, fillers, flavourings, synthetic preservatives, or artificial inclusions in their products. New Zealand also has very strict rules concerning the use of pesticides. Four of the VéRUS wet food formulas are manufactured at their facilities in New Zealand. All the animals raised for red meat are range reared and graze on fresh grass. They are neither grain fed, nor kept in confined spaces. The chickens and turkeys are either barn reared, or free range. As a result of their strict laws, New Zealand has none of the disease challenges that are prevalent in most other countries. VéRUS can be highly commended for not testing their products on laboratory animals. Because there are no synthetic chemical preservatives, hormones, genetically modified ingredients, or meat byproducts in their formulas, they are confident enough in the quality of their food that they only complete routine palatability tests. They do this by simply taking the product home and feeding it to their own animal companions. The fact that the company has never had any recalls in over twenty-three years, again speaks volumes for the company. 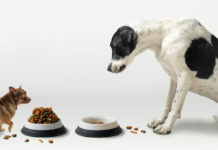 Overall, VéRUS Pet Foods appears to be a healthy and nutritious choice of dog food.